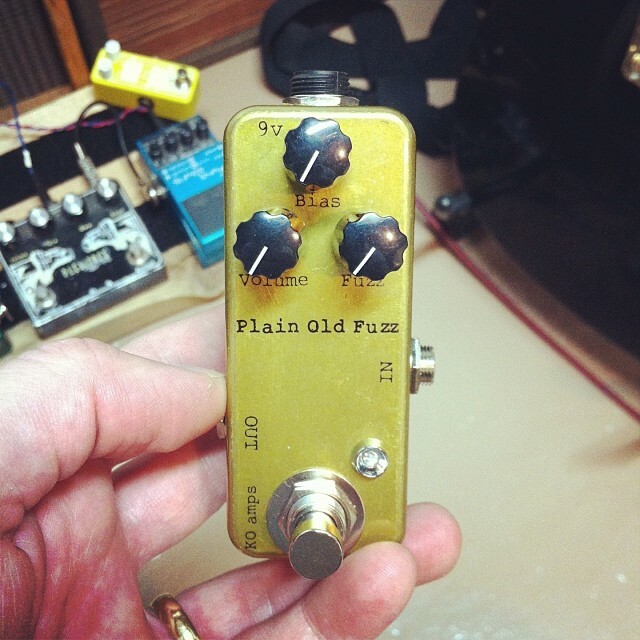 Based on the fuzz face, but with an external bias knob to dial in the desired amount of Velcro to your sound. Has hand selected silicon transistors for vintage fuzzy goodness. Runs off a regular center negative 9v power supply.